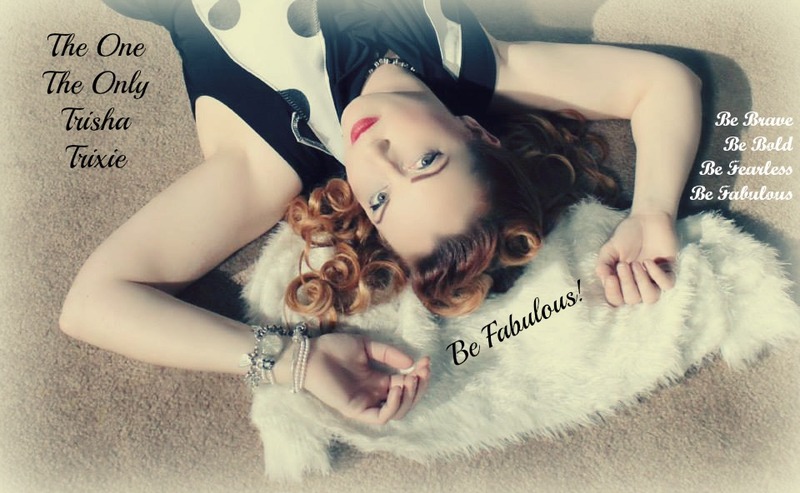 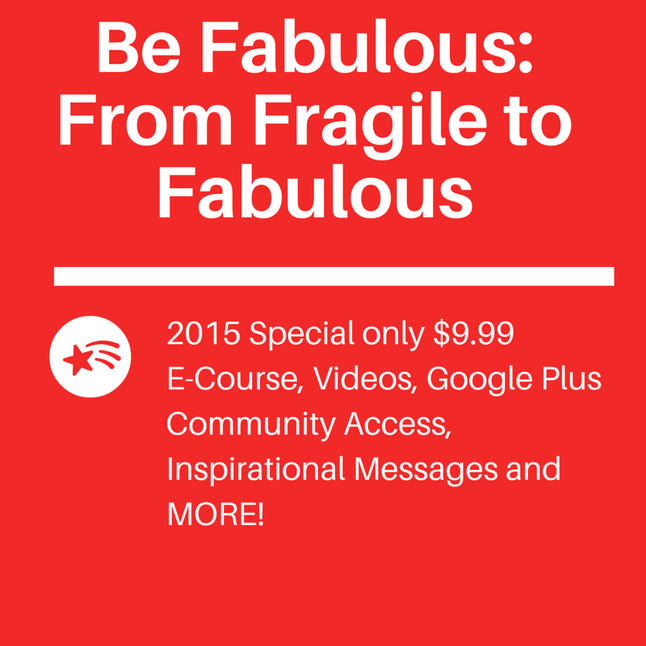 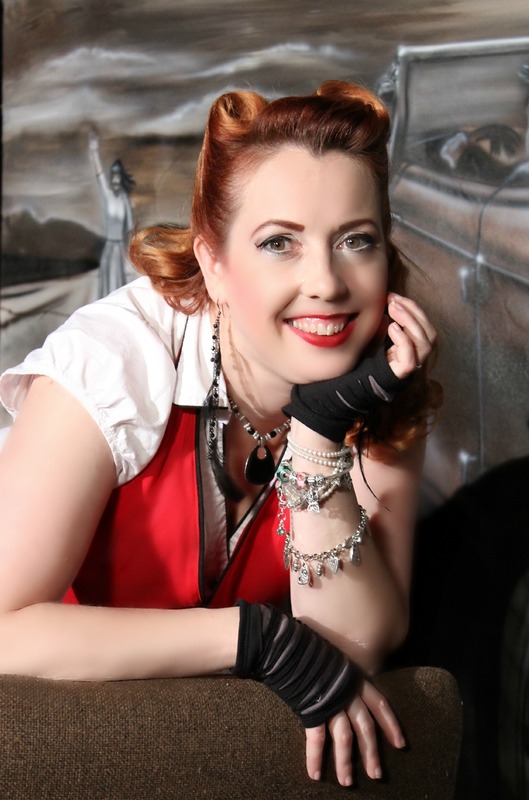 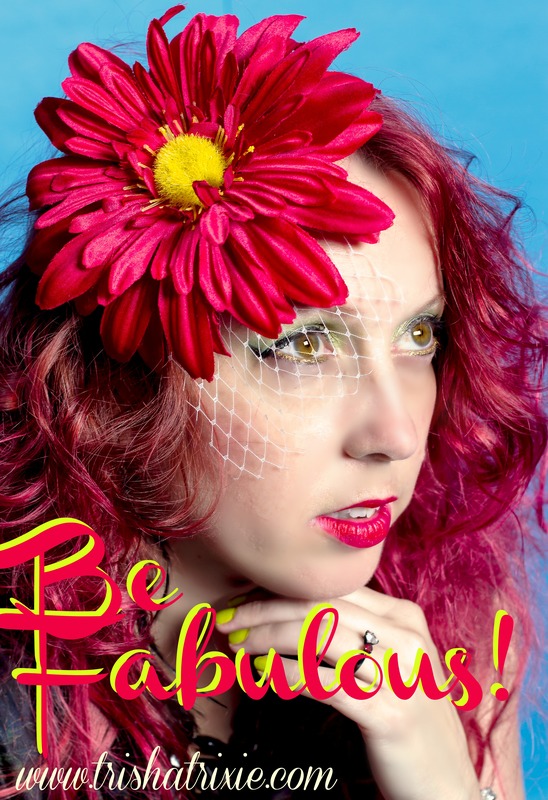 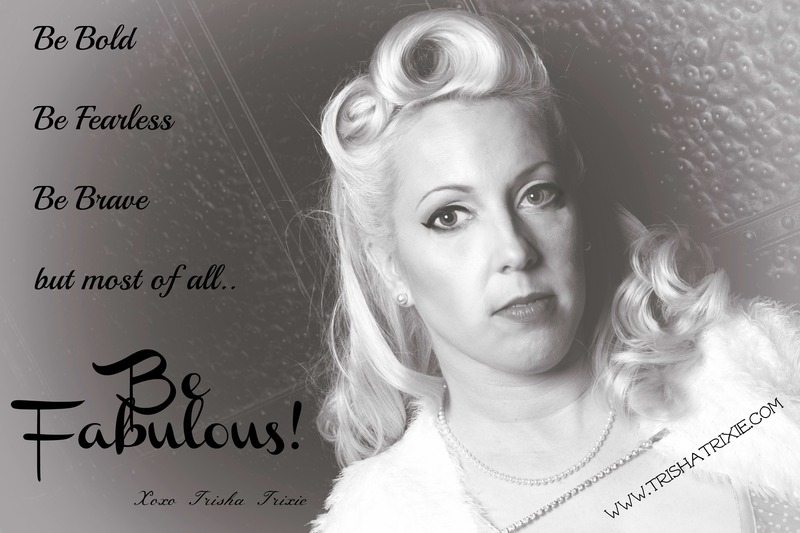 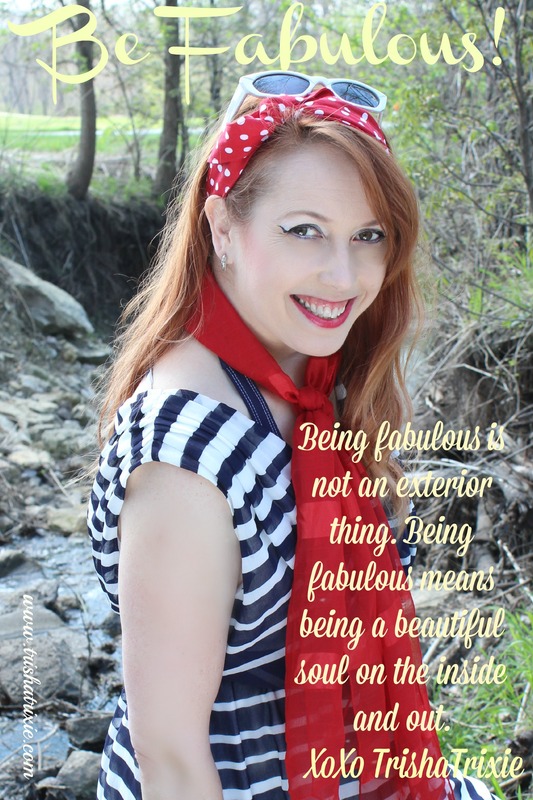 Welcome to my “Be Fabulous” Campaign! 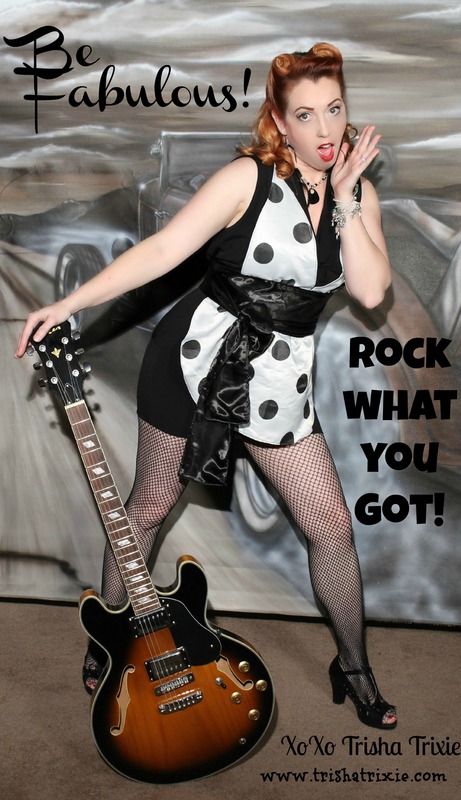 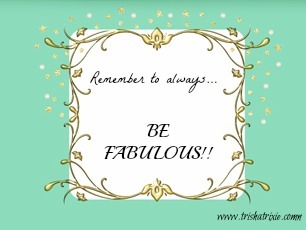 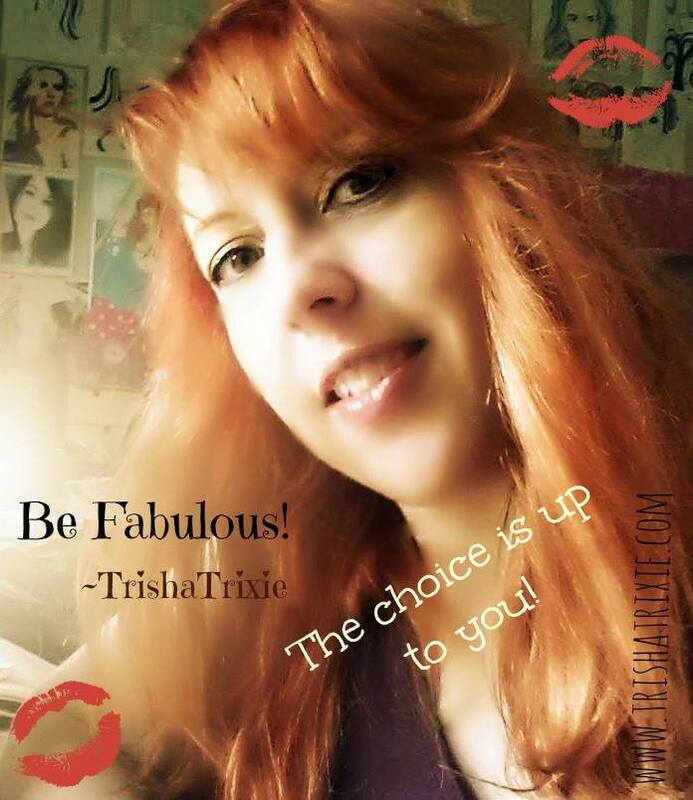 Would like to be a part of the Trisha Trixie, BE FABULOUS, Campaign? 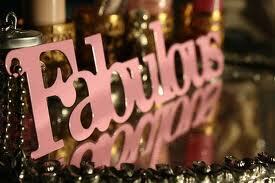 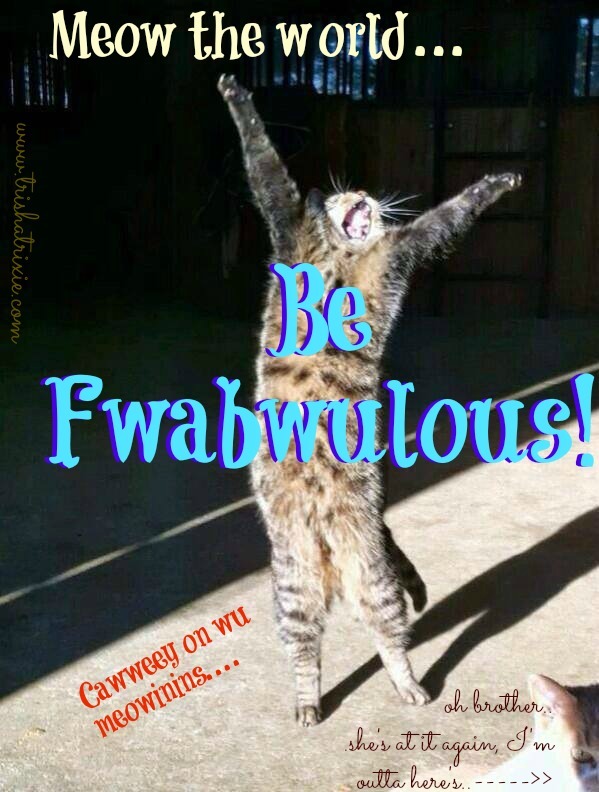 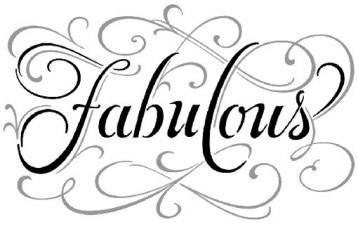 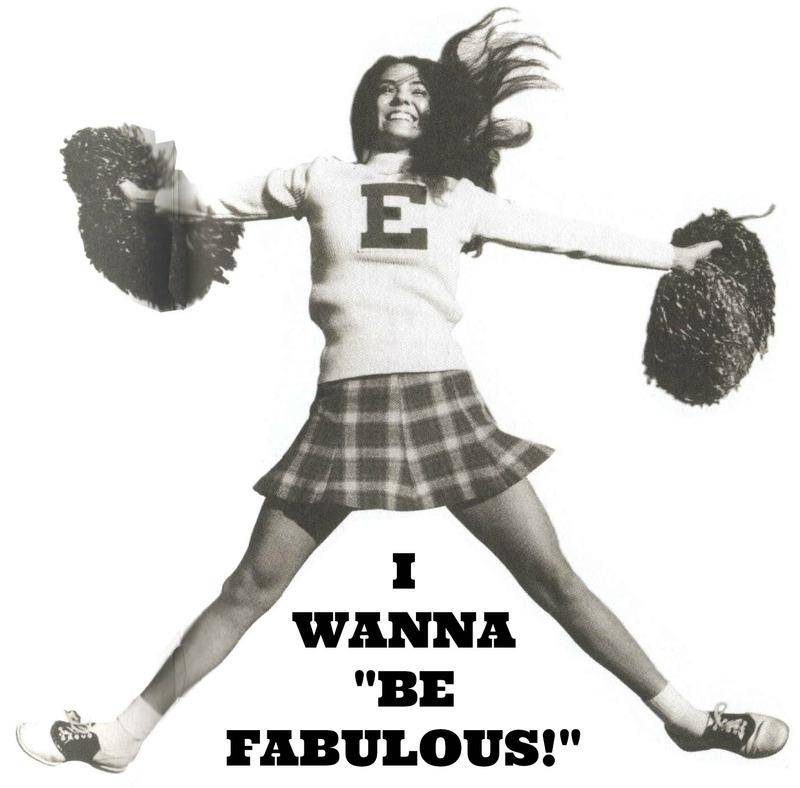 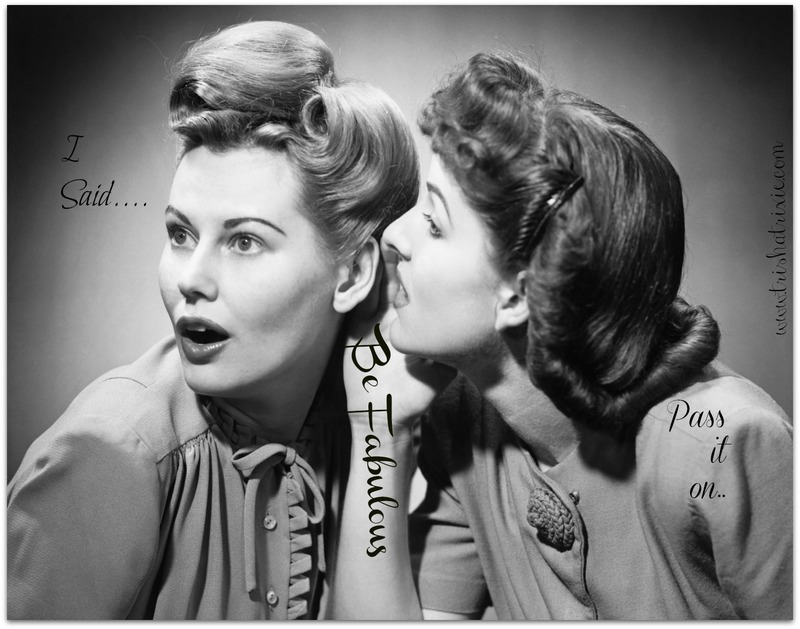 Comment Below and share your FABULOUS!! 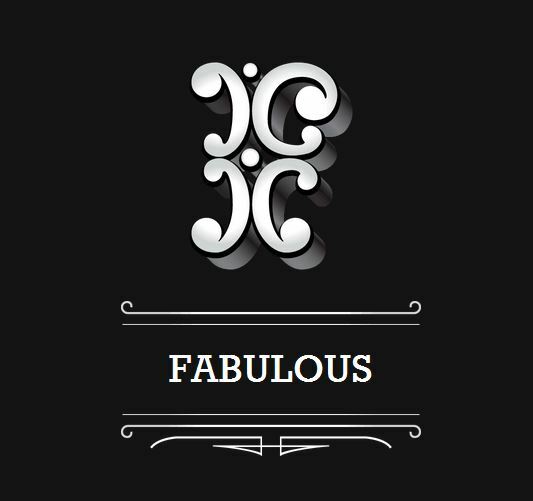 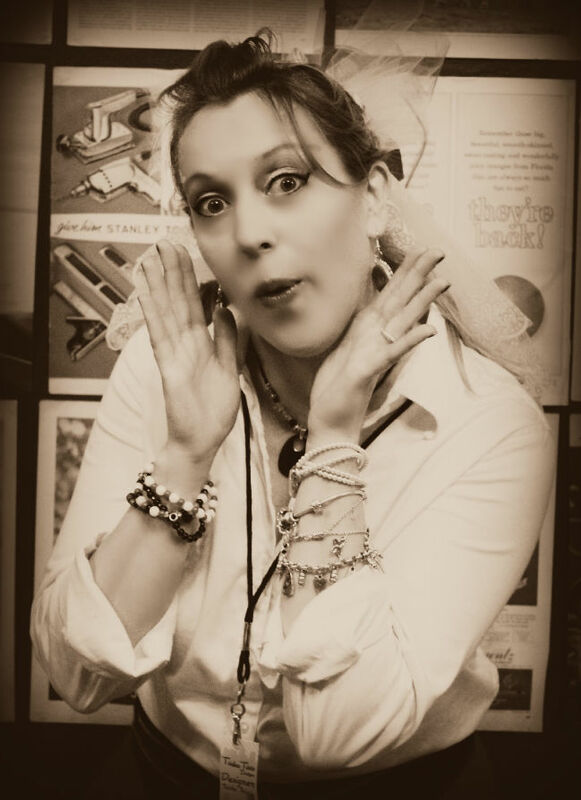 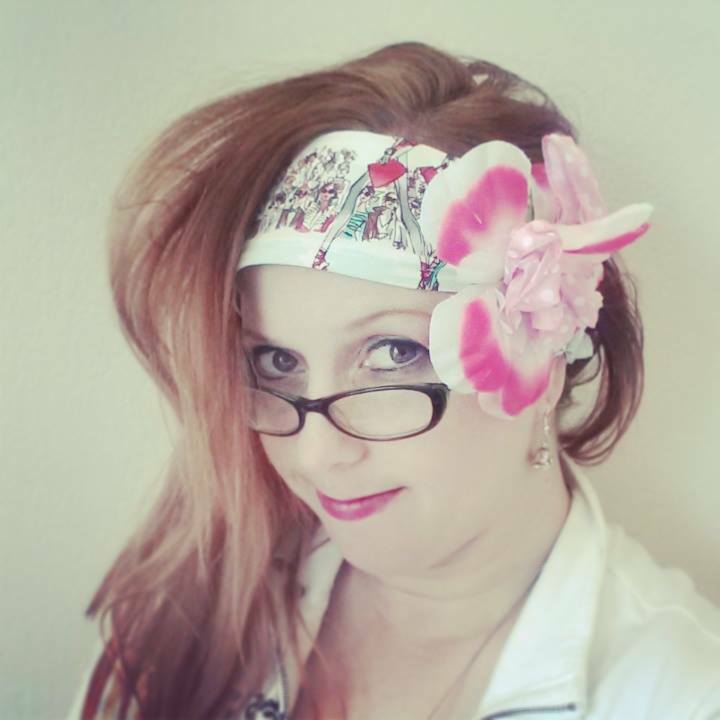 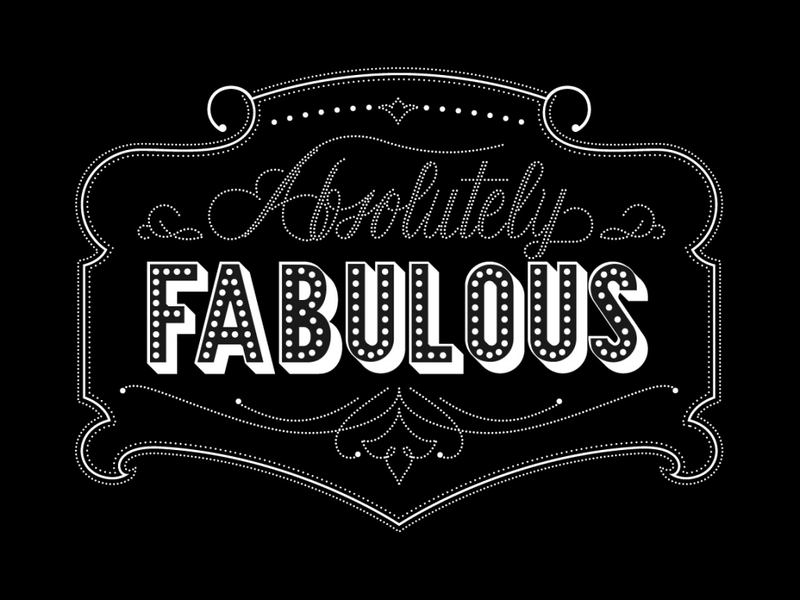 If you want to show your Fabulousness, you can right click this image and add it as an icon, or widget icon on your blog. 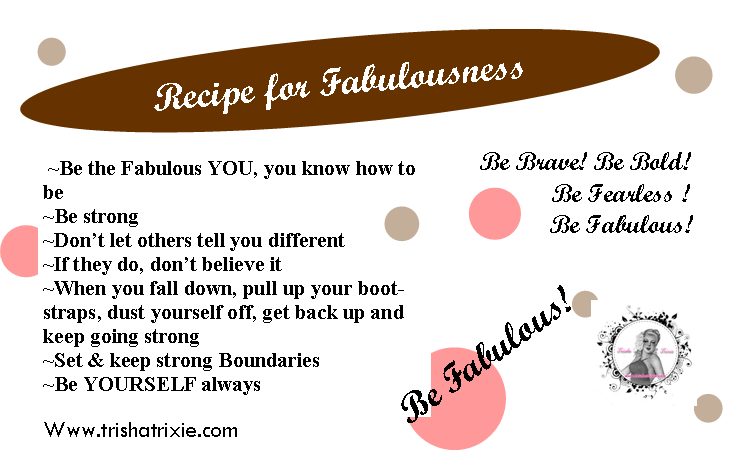 Follow us on Sundays to receive you Recipe for Fabulous! 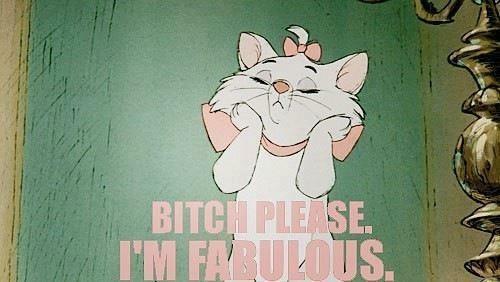 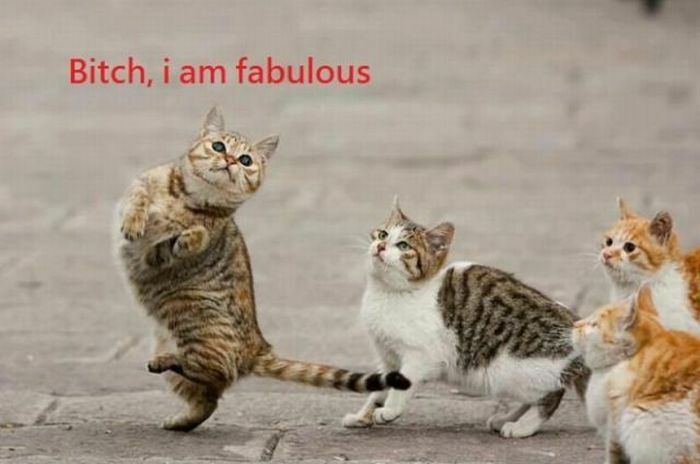 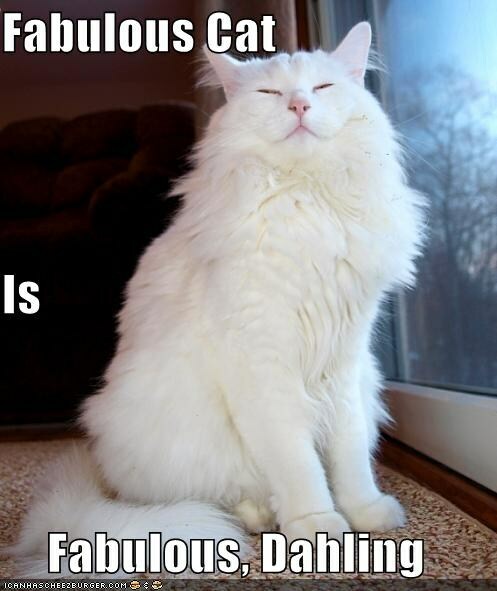 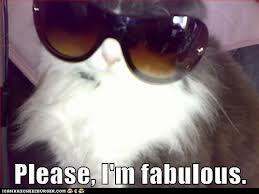 Do you WANNA Be Fabulous? 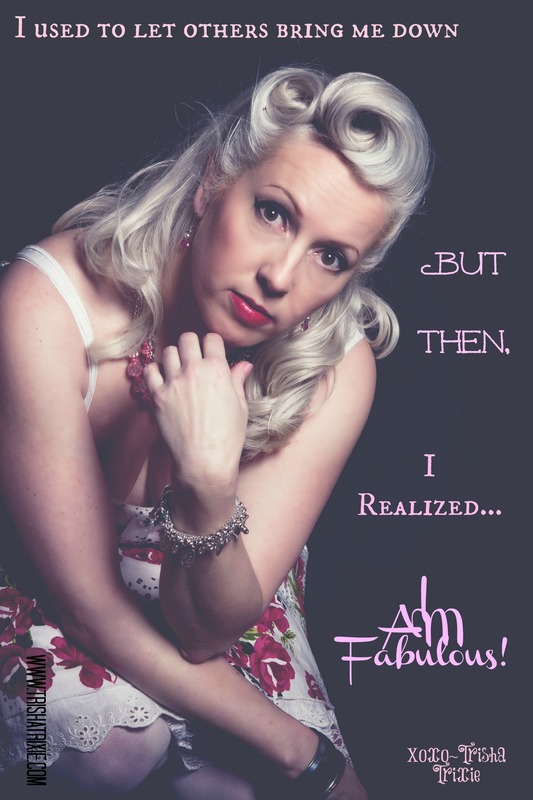 Get out of the rut of being a victim? 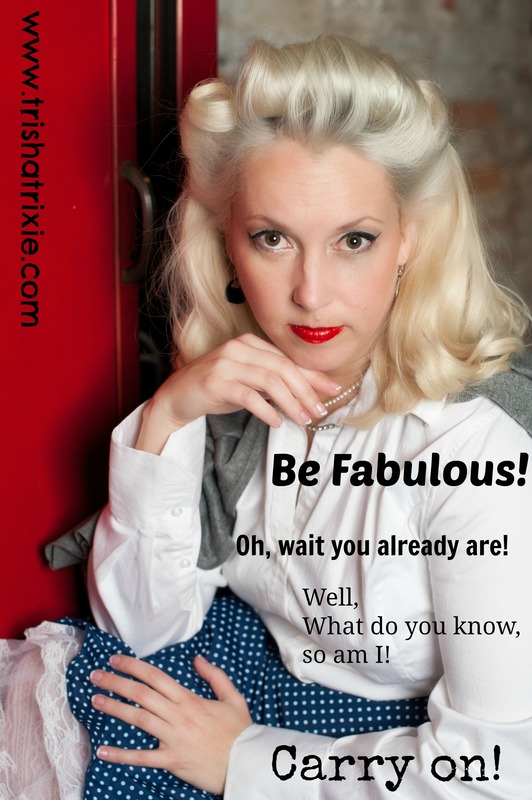 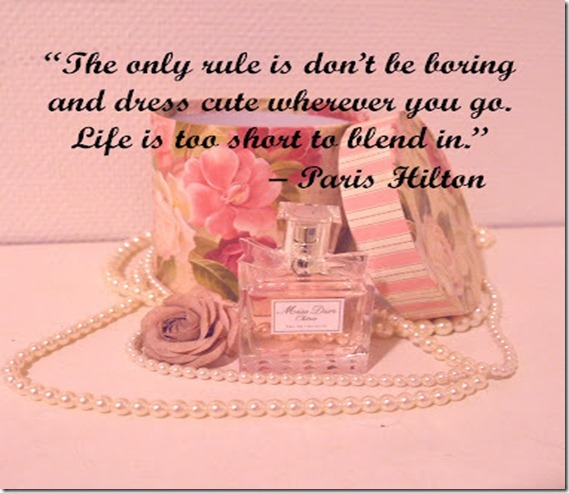 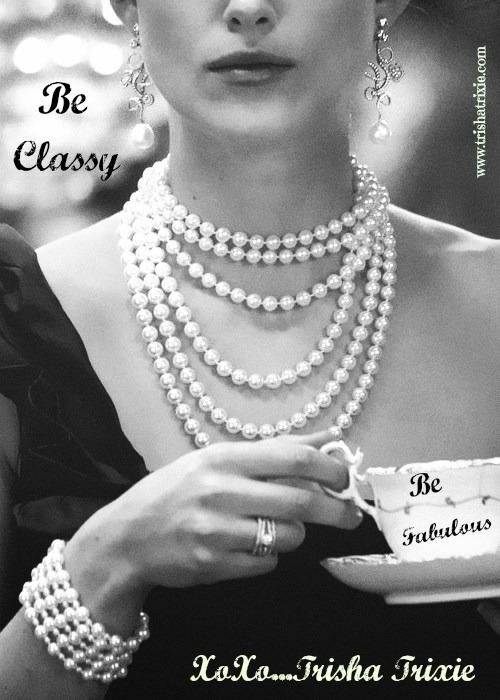 Turn your life around to Fabulousness?